The R&B superstar remade her song "Super Life" to honor the slain teen. 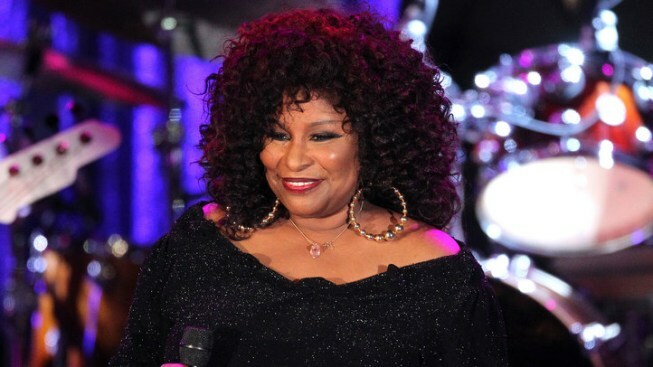 R&B star Chaka Khan has recorded a tribute song in honor of slain Florida teen Trayvon Martin. R&B superstar Chaka Khan has re-recorded her 2007 song "Super Life" as a tribute to slain Florida teen Trayvon Martin. Khan announced the project while appearing on "Piers Morgan Tonight," claiming, "We are sick and tired in America of seeing little children lost and children gone missing and they never make the 9 o'clock or the 5 o'clock news." Joining Khan on the track are singers and performers Eric Benet, Terry Crews, Angela Bassett, Kenny Lattimore, Kelly Price, and Boris Kodjoe. In the accompanying video, all the participants are wearing hooded sweatshirts, similiar to the clothing worn by Martin when he was shot by community watch captain George Zimmerman. "The death of Trayvon Martin was a shot heard around the world," wrote Khan on her web site. "Celebrities are privileged beyond belief to have a public following... As purveyors of content and media, we need to use our voices to stop injustice at the site of its origin." The song has sparked a Twitter support campaign linked to the hashtag #fearkillsloveheals.